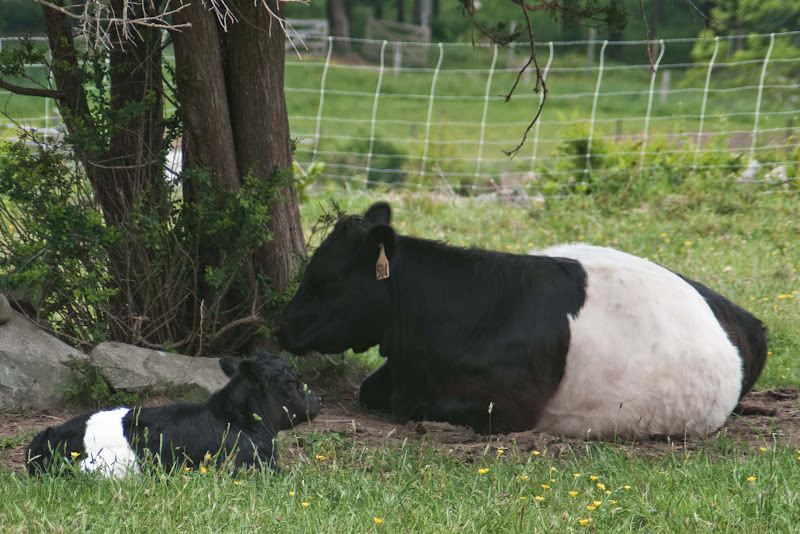 The cows at the farm nearby are "Belted Galloways", but we call them "oreo cookie cows". I just noticed the baby today -- look at how fresh & clean his white stripe is compared to Mom's. I figured this would be a perfect occasion to take my new tripod (A Mother's Day gift. What? ), long lens and teleconverter out to the field & see what I could get. Well... I waited for quite some time for Mom & Baby to do something. Anything. But, they were pretty committed to naptime. Such is life with a newborn. Maybe I'll try again later.